Get ultimate convenience with the all-inclusive vaporizer cleaning solution; the ZEUS Purify Cleaning Kit. Although specifically designed to be tough on build up, the ZEUS Purify Cleaning Solution is also soft and gentle on your delicate vaporizer parts. The solution is a concentrated aqueous cleaner which contains chelating agents, detergents, and alkaline builders but is non-flammable and contains no fumes, poisons or alcohol. The solution first works at breaking down the grime, and anything left can be simply brushed away using the Bristle Pipe Cleaner. I use a Utilian 721 & the Zeus cleaning kit works really well. The Grime Sticks do a great job on the ‘bowl’, however I ordered a second package of the Sticks as I seem to go through them faster then the wipes or solution. Thankfully, Tools420 offers those separately. 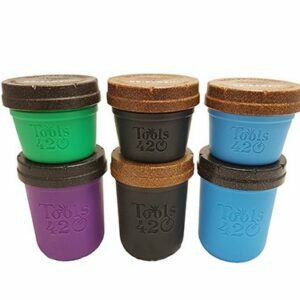 As usual, the service from the guys at Tools420 was great, they processed my order guickly & it was at my door in a couple of days. As an ‘old guy’, but relatively new medical marijuana patient, I really appreciate how helpful & professional these guys have been.